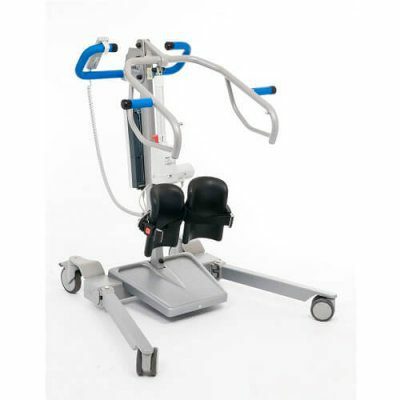 The Astor-Bannerman Carlo mobile patient hoists are available in both Classic & Comfort models and have been specifically designed for day to day patient handling issues with ergonomic lifting position for client comfort and dignity. 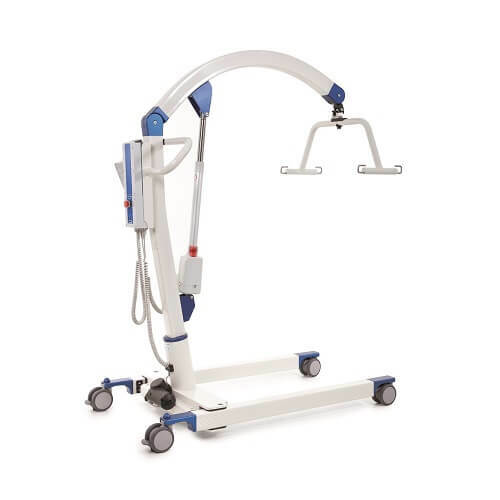 Due to the use of aluminium and stainless steel the Carlo mobile hoists can be used in any bathing and wet room environment and are lightweight so easy to manoeuvre. 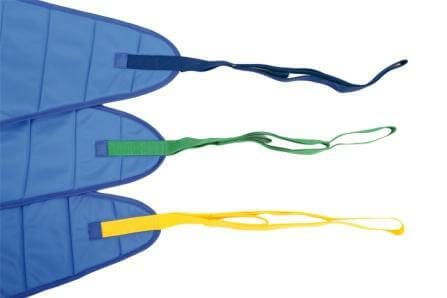 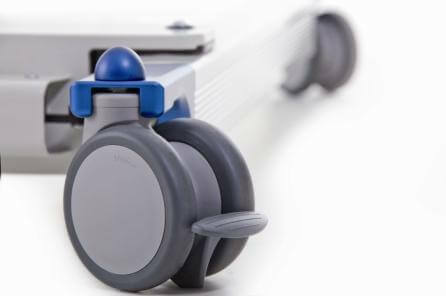 Both the Carlo Classic and the Carlo Comfort have a safe working load of 185kg (29st) and are available as bariatric capacity models (shown in blue) accommodating up to 230kg (36st) covering a wide range of care needs in a variety of settings. The Carlo Classic mobile hoist comes with a curved 4 point spreader bar which is compatible with loop slings. 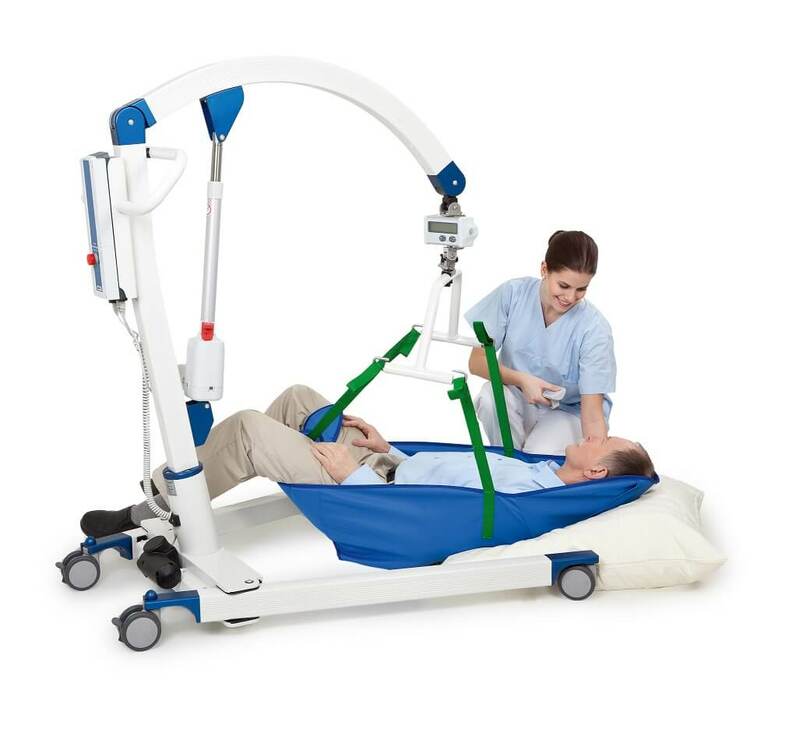 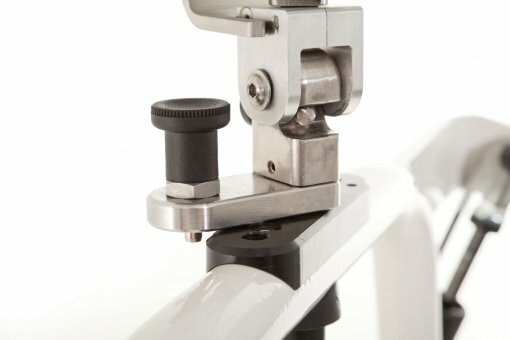 The Carlo Comfort mobile hoist has a 4 point spreader bar with electric client positioning system and 360° swivel, unique patented anti-rotation lifting arm mechanism to prevent accidental rotation, and is compatible with quick clip slings. 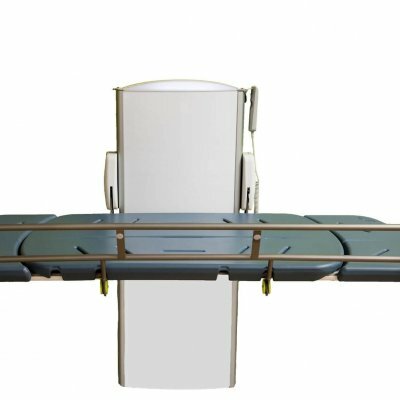 The frames of the Carlo floor hoists are constructed from a combination of aluminium and stainless steel, making them incredibly lightweight, easy to manoeuvre and ideal for use in wet rooms and bathrooms. These battery operated hoists from Astor-Bannerman are extremely durable and easy to use with powered spreadable legs (540mm closed and 700mm open), ergonomic grip positioning and 4 dual closed castors (2 lockable), which are designed to give an even transfer and prevent clogging with carpet fibres or debris. 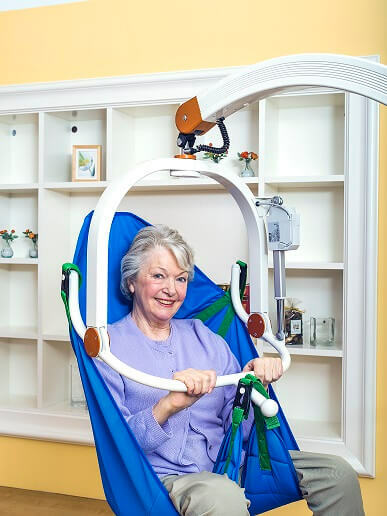 With a long and spacious arched lifting bar, the hoist can easily be positioned close to beds, chairs and baths, and lowers to ground level meaning clients can be safely lifted from the floor in the event of a fall, if required. 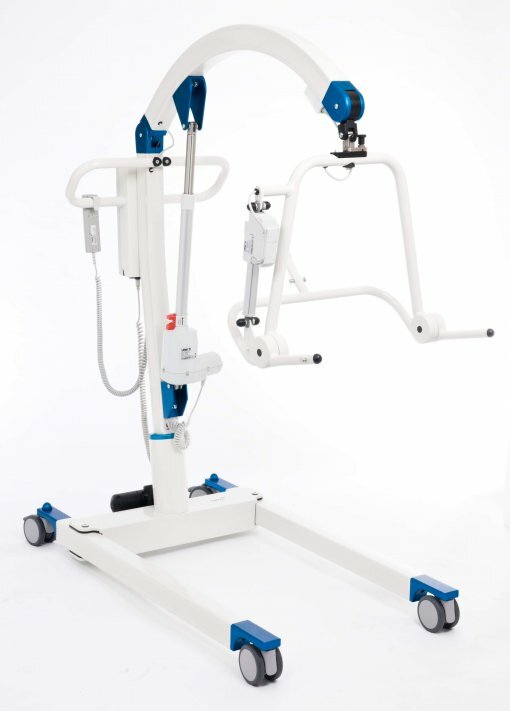 The handset control used to operate the Carlo hoists has a convenient display showing the battery charge level, failure diagnostics and service/maintenance notification and there are a range of options available such as spare batteries and digital weighing scales as well as clip slings and loop slings in a range of sizes. 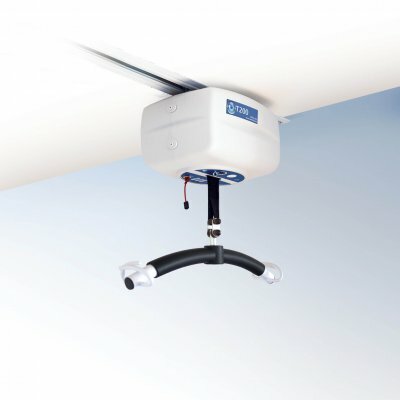 The Carlo Mobile Hoists are ideal for use in Changing Places facilities where an XY Ceiling Track Hoist is unachievable and all models come with a 3 year warranty* with a range of LOLER and service options available upon request for additional peace of mind.